LINCOLNSHIRE, Ill. – Oct. 16, 2017 – Zebra Technologies Corporation (NASDAQ: ZBRA), the market leader in rugged mobile computers, barcode scanners and barcode printers enhanced with software and services to enable real-time enterprise visibility, today announced the company received the coveted Brandon Hall Group award for excellence in three categories: the Silver award for Best Learning Program Supporting a Change Transformation Business Strategy as well as Bronze awards for Best Use of Video for Learning and Best Use of Virtual Worlds for Learning. The Silver award for Best Learning Program Supporting a Change Transformation Business Strategy highlights Zebra’s business transformation journey following its acquisition of the enterprise business from Motorola Solutions, Inc. Accenture and Zebra’s Change Management teams ensured business readiness through learning and communications supporting the largest integration of systems and processes in Zebra’s history with the goal of building One Zebra. The Bronze award for Best Use of Video for Learning recognizes Zebra’s use of 3D animation videos, applying the same innovation used in our solutions to our learning tools. This also enables new opportunities for customer user adoption and expands the possibilities of what Zebra can offer to address their business challenges. 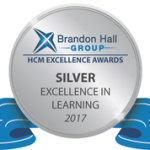 The Brandon Hall Group Excellence Awards Program is the most prestigious awards program in the Learning & Development industry. 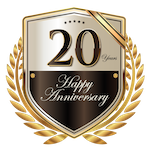 Often called the “Academy Awards” by Learning, Talent and Business Executives, the program attracts entrants from leading corporations around the world such as Boeing, SAP, Cisco, IBM, Dell EMC, Royal Dutch Shell, Bayer AG, Audi, and BT Global Services. The judging was based on the following criteria: fit the need, design of the program, functionality, innovation, and overall measurable benefits. Excellence Award winners will be honored at Brandon Hall Group’s HCM Excellence Conference Jan. 31 – Feb. 2, 2018 at the PGA National Resort in Palm Beach Gardens, FL. 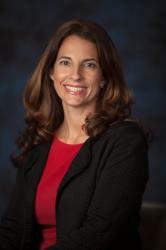 Selected winners also will serve as presenters in the more than 20 breakout sessions during the event. The Zebra Knowledge Center offers learning services for Zebra customers, partners and employees. To learn more, contact Learning@zebra.com.